Topeka, Kan. (September 7, 1963) – Just when it appeared that the old International Motor Contest Association war horse, Pete Folse, was about to win one of his patented Mid America Fair sprint car features on Saturday afternoon, an upstart from the back of the pack snatched victory from the wily veteran. Jim Moughan, who gained experience racing modifieds near his hometown of Springfield, Ill., won his first career IMCA sprint car feature with a late rush driving the Hyneman Offenhauser. 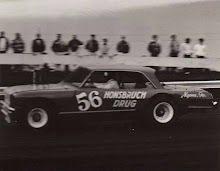 Moughan started eighth in the 20-lap event, and suddenly appeared in the fourth spot at the halfway point of the race. The apparently finding a hard slick piece of the track that was eluding everyone else, he started picking off the leaders one-by-one. 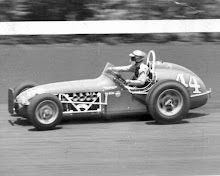 On lap 15, he moved past Carl Williams, in the Diz Wilson Offenhauser, to take third. 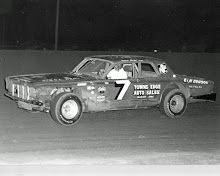 Two laps later, he swooshed by Jud Larson, who was driving the Pete Mocca Offy, into second place. He still had considerable ground to make up to catch Folse. But at the beginning of lap 17, he was right on the Honore Offy’s tailpipe. Coming out of turn four on the same lap, he did to Folse what he had done to the rest. It looked easy as he flashed into the lead and stretched it to a half of a straightaway margin by the time he got the checkered. Folse managed to hang on to second despite a hard challenge from Larson at the wire. 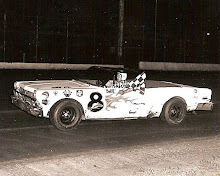 Williams was fourth, with Bill Burdick, driving the Diz Wilson Chevrolet, finishing just behind his running mate. Gordon Woolley, who went into the race with a good lead over Folse in the IMCA sprint car nationals point standings, finished sixth after switching cars. 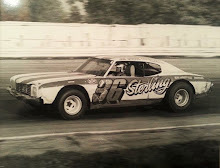 He qualified the Weinberger Chevrolet sixth in time trials, but in the first heat, he was unable to avoid Dale Reed, who was crosswise on the track in the Goodrich Chevrolet. In the melee, Woolley received a ruptured fuel tank.